Specializing in all things mountains and adventure and serving the Rocky Mountain States. For the adventurous engagements, elopements, weddings and families. My job is to tell your completely unique and meaningful love story. I am a photographer, guide and educator based out of Colorado Springs, CO.
My clients are the raddest, laid back and most genuine people you will ever meet. I thrive on mountain air, dirty boots, hats and music! I have a serious need for coffee, chocolate and some good conversation. Click that button below to learn more! 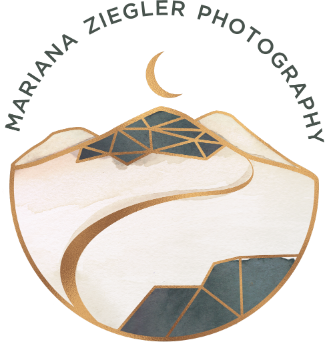 Mariana Ziegler Photography is based out of the foothills of Pikes Peak. I specialize in anything adventure, that means weddings, elopements & engagements! I also work in lifestyle business photography, which means all things branding and content creation! I fully believe in making a true connection with my clients. At the end of the day I want you to feel like you have made a friend who really understands your needs and wants to capture your memories in personal and authentic way. This also holds true for my business clients. My job is to portray your brand in a compelling and engaging visual story. I enjoy growing with my clients and celebrating milestones, which is why I also photograph families. Sharing knowledge is such an integral part of who I am and what I stand for. Due to this, I have opened up mentor sessions and workshops. For other creatives, I also host Styled Shoots where they can network, learn and showcase their art in a collaborative and supportive environment. What does all this mean for my clients? I will help you stylize your session to fit your unique style and really capture your true essence. I really cannot wait to get to know you and make some magic!